If you are looking for a potential deck builder, you have to know the right questions to ask. A deck can be an attractive and functional addition to your home. Done right, a new deck could be a sound investment that increases the value of your house. But hire the wrong deck builder, and you might face a long series of headaches. How Much Deck Building Experience Do You Have? You do not want to hire someone who has never built a deck before. You need someone who knows what they’re doing. It doesn’t matter how many fences or sheds they have knocked together. It’s not the same thing. 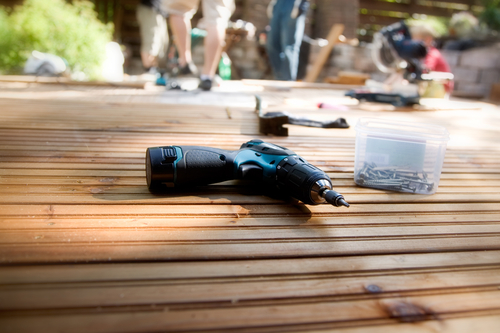 Hire an inexperienced person, and your deck will end up crooked due to uneven settling. Your boards will lift and warp because he used the wrong screws. Choose a deck builder who has significant experience with this specific type of woodwork. Estimates are not always meant to represent the final price for a product. Unexpected costs come up with all kinds of construction projects. But it’s important to ask your potential deck builder for a detailed estimate. It should at least lay out a specific cost breakdown for lumber, fasteners, concrete mix, and labor. That way, you will have a better understanding of where your money is going. What Will Your Final Bill Be? We always recommend getting at least a few estimates from trustworthy local deck builders. If one of your estimates is way lower than the others, it can be tempting to seize that seemingly great deal. But in fact, you should run very fast in the opposite direction! A bargain basement deck quote is a sign of a lazy builder who is willing to cut corners and use cheap materials. Sometimes you really do get what you pay for. Will You Get Permits, or Do I Have To? A good deck builder will research your area’s permit requirements and get the applicable permits for your deck project. They might tack on an additional fee for that service, but it’s worth having the right paperwork and saves you time and hassle. And if your potential deck builder laughs when you ask about permits, hang up the phone. That’s another sign of a shoddy builder who uses shady business practices. The best deck builders will provide their clients with at least a one-year warranty against builder defects. What this means is that he or she will come and fix warped planks, exposed screw heads, or lopsided settling. This does not mean your builder will come pressure wash your deck because you didn’t clean the fall leaves off it. You will still have to practice basic deck care, including cleaning it. Have You Considered an Aluminum Deck? Wahoo Decks manufactures top-quality decks for clients all over the United States. You won’t find a more durable deck option anywhere. Tired of asking the same questions to find your potential deck builder? Your search ends here. Call Wahoo Decks at (678) 343-2317 for more information.